Every business wants to harness the power of Digital Marketing. However, one of the very first steps you must take before planning for any marketing campaigns (let alone digital) is a thorough self-assessment. What do you want to say, to whom and for what purpose? To whom do you want to communicate? And finally, and perhaps most importantly, what do you hope to achieve by putting your message out there? This is certainly true in marketing as well. One of the first steps you must take before planning for any marketing campaigns is a thorough self-assessment. The constant search of a self-identity is a basic driving force behind almost all social and communication activities. As humans, we initiate social contexts with other people and develop relationships based on our perceptions of ourselves, and we also learn about who we are and validate our self-perceptions by interacting with others. We see ourselves through the eyes of others. Broadly speaking, we have two sets of self-identities, one that is held by ourselves and one that is seen by others. For example, let’s think about Uber. Uber’s core product is its technology platform. Much of the company’s operational and research development efforts are focused on the development, maintenance, and expansion of its technical features and capabilities. The company does not see itself as a taxi company, and it sees Uber drivers as users of its technology instead of their employees. However, this self-perception may not be shared by Uber users, such as drivers and the passengers, or even the public in general. Such a gap in self-perception has not only led to a number of legal and regulatory problems for Uber, but also presented significant challenges to Uber’s branding and public relations efforts. Another critical aspect of self-assessment is determining your relative position in a given market. How big is the overall market of your products or services? How is your primary market related to other markets? What differentiates your products and brands from those offered by your competitors? A thorough positioning analysis must consider the fluidity and complexity of the concept of market position. For example, in the ride-sharing app market, Uber’s direct competitor in the US is Lyft. But globally, its largest competitor might be DiDi Chuxing, a popular Chinese ride-sharing app that dominates the Chinese and South American markets. In the broader market of personal transportation, however, Uber’s competitors also include taxi companies and car rental companies. Beyond these two markets, there are less obvious competitive spaces. For example, in the financial and investment market, Uber might be competing for the same pool of investors who are interested in tech startups as a business category. In this case, Uber will be mentioned together with Airbnb and other tech companies. In addition to market positioning, a thorough self-assessment should also include an analysis of media presence and the visibility of your brand or products. Do you have positive media coverage on your product and company? Do I have a healthy following on social media? Can consumers find you on various search engines and directories? How many different ways can your products or brands be discovered? Finally, in the age of digital marketing, one important aspect of self-evaluation is an audit of your digital readiness. Before launching a digital marketing campaign, you must assess your capacity and readiness in four crucial areas: budget, human capital, technology, and data. How big is your marketing budget? What portion of it are you willing to commit to digital? Are you in a position to work with full service or specialized digital agencies? Or would you rather manage your digital campaign in-house? Are members of your marketing team familiar with the various digital channels and new media technologies? Do you have a devoted team for digital and social media management? Do you have a well-developed website? Is this website managed in-house or by a web hosting company? How easy or difficult is it for you to update your web content? Have you set up web analytics tools to help monitor the traffic to your web pages? Do you have in-house expertise in areas such as digital content creation, digital asset management, and data storage, analytics, and security? What kinds of data do you keep and analyze? Do you use a good CRM system to manage the customer and the sales lead database? The more thoroughly you consider the various resources required and available to you to support a successful digital campaign, the better you can plan and manage it. These decisions help you stick to your business objectives while planning a marketing campaign, better understand your relative market position and more effectively allocate and utilize your financial human capital and technological resources. The business objectives of marketing are to increase sales and revenue. Therefore, the primary target of businesses’ marketing communications should be the consumers of their products and services. In the past, marketers have utilized mass media outlets under the assumption that the broad base of the mass media audience will capture most of their consumers. In the traditional mass media era, a few media channels dominated the public’s attention. Many users would access the same media content at a predictable time, place, and manner. This assumption is no longer valid in the digital era. Today, the same group of target consumers may access different media content from different devices at different times in different ways and the media audience is fragmented and diverse. In the digital age, the conventional way of acquiring the customers’ awareness and attention through a marketing funnel is somewhat outdated. In a fragmented media system, consumer attention can be easily overloaded. Aside from a handful of major media events like the Super Bowl, the Oscars, and the presidential election, it is becoming more difficult to capture the attention of a large and diverse audience all at once. Personal and mobile devices are replacing the time people would have spent watching TV. Social media, online news, audio and video streaming services, and other digital channels are becoming the dominant source of information and entertainment. The large end of the Classical Marketing Funnel is getting smaller and they are increasingly more funnels to consider. Companies can either pay research firms and academic institutions to conduct this research, or they can lead the effort in house. Focus groups, surveys, polls, content analysis, A/B testing, and ethnography are just some of the better-known methods for primary research data collection which is useful in answering specific questions unique to a marketing goal. Data collected and kept by secondary research sources are useful in understanding broad market trends, they often also provide a historical perspective by tracking the same set of indicators over time. Beyond these traditional research methods, Big Data Analytics are increasingly being used in market research which is adding more and more power to our hands as marketers. I am not going to go deeper into Big Data Analytics today as it’s a topic for another time. What do they like or dislike? Where do they go for leisure and entertainment? What kinds of TV shows and radio programs are they likely to watch or listen? How often and where do they go shopping? The better you know your target audience, the more strategic and effective your communication strategies will be. In addition to the insights you can gain from traditional marketing research, the digital revolution and Big Data have made it possible to study the behavioral patterns of your target consumer at the granular level. Through both conventional and new research tools, as a marketer, you have the ability to paint an extremely detailed and accurate portrait of your target market to help you design your marketing campaign. What do you hope to achieve through your communications? Before you plan for any campaigns, it is essential to make sure that your communication strategies are aligned with your overall marketing goals and your marketing goals are aligned with your business objectives. A marketing funnel typically includes, from top to bottom, the stages of awareness, interest, consideration, intent, evaluation, and purchase or conversion. The process is called a funnel because there are a lot of people in the first stage. Then as you continue along the consumer journey, many will dropout at each step and the size of the crowd gets smaller the deeper into the funnel you go. While consumers today are still going through each of these stages on their journey, the conventional wisdom about them going through a broad to narrow funnel is outdated in the digital age. In the digital age of predictive analytics and behavioral targeting, companies can find and precisely target leads with strong purchasing tension and skip the top half of the funnel altogether. For example, in traditional marketing post to sales customer relations management and personal networking are on the exit end of a typical retail marketing funnel. But today, these tactics can be adopted at scale through social networking sites by directly bringing in new leads into the bottom of the funnel. The distinction between the top and the bottom of a funnel are less relevant in digital marketing. Another assumption built into the concept of a marketing funnel is that consumers are ignorant and uninformed before they enter the funnel. This is no longer true in the digital age. Digital media users are active, although their experiences are fragmented. Consumers today are exposed to a huge amount of information everyday, besides mass advertising and marketing promotions. The newer generations of consumers can get information about products, services, and brands through many other channels beyond the control of marketers. For example, if you want to buy a car, you may gather information about many different types of cars, consider their utilities and functions and go through a ton of reviews and independent reports. Then you would decide on a brand, the model, the color, and even the price point before you would contact a dealer to buy a specific car in their inventory. Much of what happens leading up to the purchase today is beyond the control of any conventional marketing. The consumer experience in digital marketing is less linear and less restricted. People can jump from one stage of the funnel to another and jump from one funnel to another. Personally, I learnt that the best analogy for digital marketing is not the funnel but a tour guide or personal assistant. Within a broad strategy based on specific business goals, marketers need to constantly be aware of the interests, needs, and intentions of their customers. Be flexible and nimble and be ready to adopt new tactics at any time. More importantly, digital marketing is not just about having great salesmanship, coming up with a single creative message or slogan or putting out attractive signage. An effective digital strategy must offer consumers a pleasant, seamless, and informative experience on their journeys. Be responsive and helpful when needed but be gentle and respectful when not. In addition, digital marketers must select the right communication strategy for the right consumer at the right moment. While paid advertising can be used to reach and engage consumers in any stage of the journey, specific advertising messages should be tailored to different consumers for different goals on different platforms. For example, a consumer journey leading to conversion on social media is drastically different from one on search engines. A consumer does not typically use social media for product search. But they are highly engaged with interesting posts and content shared by their friends. In such an environment, marketers must rely on strategies such as content marketing and influencer marketing to raise awareness and interests. Instead of having to rely on just a few media channels, you can also choose from a variety of channels, platforms, and messages to reach and engage your target customers. Instead of shouting into a big crowd to raise awareness, a digital marketer should consider the key characteristics of different digital channels and use them appropriately to create different funnels for different types of consumers. How to create coherent, creative, and consistent marketing messages to be delivered over different communication channels across different media platforms in different formats. In the age of digital and social media, individual users can easily create content and share it with the world. As a business, you can reach millions of consumers around the world easily with your website and social media presence. Video ads are no longer exclusively aired on television. They can be posted, and often for free, on many video sharing and social media platforms and viewed using a multitude of devices. Businesses today directly target potential consumers via email, text messages, mobile apps, and search engines. A community of online influencers can successfully engage the attention of tens of millions of people with just a few hundred characters. The new communication environment disrupts the advertising production and media planning industries and tips the scale towards the demand side of the marketing communication. However, great power also comes with great responsibility. In the Digital Age, an effective integrated marketing campaign must be coordinated by a versatile, in-house marketing team with high levels of digital and technological literacy. There’s a variety of media formats that digital marketers can choose from to encode and embed marketing messages. For example, information about a special sales event can be delivered digitally in the form of written text, graphic banners, photo and memes, interactive animations, or online videos. The different types of digital media content need to be developed, designed, created, and stored separately. They also require different technical skills and support. More importantly, you must ensure these promotional messages are consistent and coherent. As such, you cannot simply outsource the production to various specialized agencies without first developing a comprehensive and multi-channel communication strategy. To make things even more complicated, the same piece of digital content can be delivered through different communication channels, each with a set of advantages and disadvantages. This adds another layer of complexity to the strategic planning process. For example, the announcement of a sales event can be delivered via an email, or a text message, or various social media platforms, blogs, websites, and mobile apps. Then the same promotional message presented in these different formats, delivered by different communication channels, may be receive by different audiences on different media devices. Can your email promotion sent from a Windows system be viewed correctly on an Apple computer? Is your website compatible with different browsers? Can your high-resolution promo video stream smoothly on slower cell networks? These are just the few of the issues an effective digital marketer must consider before launching a campaign. Another key consideration in digital media management is placement strategy. Where and how would you like to host and display your digital assets? You need to have a clear strategy around your website, blog, social media presence, and other digital entities under your control. You also need to consider leveraging paid and user generated content on social media concerning your brand. I have done a lot of posts on branding and importance of having a website. This time, let’s take a deeper look at the concept of your website. Is it to promote your brand? To collect information about your customers? To share useful information with your existing consumers? Or, to create a digital destination for those who are interested in your products and services? How long are you planning to keep the website? Is it part of a short-term campaign blitz or will it be a permanent part of your online presence? Next, you must consider the kinds of technical human and financial resources you have. Or are willing to invest in the website’s construction and the maintenance. Do you have the technical expertise and IT infrastructure to host a sophisticated website? Can your web server handle high traffic? Do you have technologies and policies in place to guard data security and prevent cyber-attacks? What kinds of data are you planning to collect and analyze from your website? 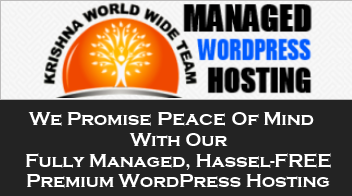 How much are you willing to spend on third party web hosting services and data storage? Keep in mind, the more information you collect, the better you can understand the behaviors and preferences of your customers. But also, the more costly it will be to securely maintain the data. You must carefully weigh the objectives against your available resources before developing a marketing website. Digital products developed by engineers, such as e-commerce sites and mobile apps, typically go through a very carefully planned research and development process. Throughout the web development process, you need to remain focused on the following questions. What are their wants and needs from your platforms? Why are they really coming to your website? What are the users’ capabilities, web skills, and current devices and technologies they own? In addition to creating an attractive and easy to use website, you must also consider how rapidly media technologies are changing. Mobile devices are replacing desktop computers at an accelerated pace. You need to develop a website with mobile communication in mind. Mobile can no longer be an afterthought in user experience design or any other digital effort. It should be prioritized in all phases: strategy, design, and implementation. In fact, experts are now encouraging advertisers and marketers to adopt a mobile first strategy. And finally, communicate consistently. You should use the same set of icons and graphics for all your digital assets, such as websites and apps. This will help you keep a more consistent brand identity in a fragmented media space. You can accomplish this by using a good digital asset management service such as Adobe Experience Manager, Aprimo or CELUM or many others in this arena about whom I will discuss in future. Share your thoughts through your comments. Thank you kindly! Your article is very good. Thanks for posting such articles. It have really helped me to improve my SEO results. very useful, Gauraw! thanks for the tips! Firstly, thanks for your sharing information. I have read this post. I’m clear of Digital Marketing. Actuality, It very important for any business. Hare has 3 questions for you. Actually, we want better traffic. So, you can read this article. Then collect Digital Marketing information. I’ll happy with this blog. Now, I will share this article on social media. Launching a digital marketing campaign requires some serious skills. This article explains things quite clearly. Thanks a lot for this impressive post. There are many fun and exciting things you can do online. Very informative, I really love your idea! thank you. This is a really good article, very informative! I have known a really good marketing agency in Concord CA. The services in digital marketing is really good Just click the link in my name.